Naas AFC come from a 6-1 loss away against Edenderry Town. 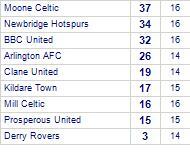 Prosperous United's last result was a 1-6 win away against Newbridge United. 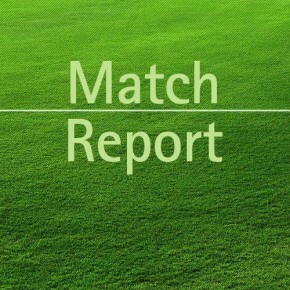 Moone Celtic come from a unlucky 3-2 loss away against Newbridge Hotspurs. Prosperous United's last result was a narrow 2-1 win at home against Arlington AFC. Newbridge United are defeated by Prosperous United. Prosperous United beat Allenwood Celtic.